STATUS: This post is now out-of-date but is kept for informational purposes. Updated information can be found in our guide to earning Qantas Points at Woolworths. It seems that Woolworths have changed their mind, reversing their recent Woolworths Rewards changes, and reinstating Qantas points as points earn option for Woolworths shoppers. As expected, this is not a reversion to the old Everyday Rewards program where you could earn one Qantas point for every dollar you spend over $30 – instead, you’ll be offered the option to convert your Woolworths Dollars over to Qantas Points. Here’s what we know about the new Woolworths & Qantas Frequent Flyer partnership coming in 2016. 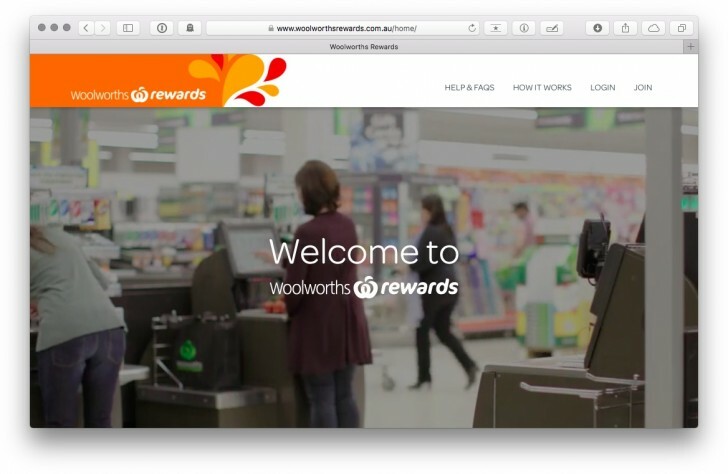 As you may remember, several weeks ago Woolworths announced that at the end of December their Everyday Rewards program would be phased out in favour of a new rewards program where you can directly earn money off your shopping bill (“Woolworths Dollars”). By purchasing specifically labelled products with an orange tag, indicating the amount you will earn, you’ll earn bonus Woolworths Dollars. When you reach the sum of ten Woolworths dollars you get $10 off your next shopping bill – but with no Qantas Points. The partnership just announced means that at some point next year, you will have the ability to opt to have your Woolworths dollars converted to Qantas points. The conversion will take place at a rate of 10 Woolworths dollars = 870 Qantas points – instead of receiving the $10 discount. As an aside – who came up with that conversion rate? A strangely consumer unfriendly figure. It appears that once opted-in the points will be swept once every three months. The option to convert to Qantas points is coming sometime in the first half of next year pending some technology integration or changes, and until then there is no option (at least on the Woolworths Rewards website) to not automatically discount your shopping. Short of making sure to put all your shopping through in transactions of less than $10 value, there doesn’t appear to be a way to “stockpile” those Woolworths Dollars to be converted until the option becomes available. Once the tech is in place, what will this mean for your shopping at Woolworths? The new conversion rate means you’re “paying” for your Qantas points at a rate of about 1.15c/point, which may or may not be worthwhile depending on your points valuation. At this rate I’d prefer Qantas Points over a cash discount. The quarterly transfer will mean that going out to make a quick purchase to get those final few points for a reward will not be practical. The new program removes the $30 minimum spend to trigger earning Qantas Points, which was more advantageous to someone who does several small shops in a week rather than one big shop. No more ‘basket size optimisation’ to trigger points earning. If you buy the right products under the new scheme, you have the potential to make a lot more points than under the Everyday Rewards scheme. For example, a $4 item with a $1 Woolworths Reward attached, under the old Everyday Rewards scheme would net you 4 Qantas points (assuming you had reached the $30 threshold). Under Woolworths Rewards the same item will net you 87 Qantas points once converted. The biggest problem with the new Woolworths & Qantas Points partnership is the same problem that has plagued Woolworths Rewards from the start, and triggered a backlash from the public – only certain items are tagged to receive rewards, and if you don’t purchase these specific items you earn nothing. By comparison, the old Everyday Rewards earned points for every dollar spent without having to purchase specific items. Woolworths’ Facebook page is littered with people complaining about having spent thousands of dollars since the new rewards program was introduced and less than 10 Woolworths Dollars to show for it, because they hadn’t bought the brands selected to be orange-ticketed. The social media backlash has been fierce. If you don’t buy the “right” products from Woolworths (and aren’t willing to switch brands for the sake of points), this new program won’t hold much value. Woolworths have said they plan to offer various promotions for bonus Qantas points, and already have been offering bonus Woolworths dollars via targeted promotions. These, like promotions in the Everyday Rewards and Flybuys programs, are likely to be targeted to get people with lower spending to increase their spend. For example, my $10 of Woolworths dollars came entirely from a targeted promotion to spend $30 two weeks in a row, none from orange-ticketed items. It would appear that far from being a loyalty program like Everyday Rewards was, and rewarding people for every shop, the new Woolworths Rewards program is more about pushing people towards specifically selected brands or products. For example, in my shopping over the past few weeks I have noticed many more orange tags on Woolworths’ own Select branded products than anything else. Woolworths may also be shooting themselves in the foot with this with regard to gathering customer data. The most valuable part of a loyalty program for a company is the data they can gather about their customers and what they purchase in order to target offers or better market their products. Under the new Woolworths scheme, customers have no incentive to scan my card if they haven’t purchased any orange-ticketed items or aren’t in a targeted promotion. This might actually mean you considered a lower spender than you are (and maybe trigger more offers – who knows!). This is in vast contrast to a program like FlyBuys which rewards loyalty by giving points for every shop regardless of the size or what is purchased. With the new Etihad tie-up earning points at an effective rate of 0.4 points per dollar spent at Coles and related retailers, this just became an option. If you’re not already a flybuys member, you can join flybuys here. At the end of the day, whether the new Woolworths Rewards (with Qantas points) or Flybuys (with Etihad miles) is going to be more worthwhile is going to come down to your own spending. Qantas points are arguably more useful in Australia than Etihad miles (in terms of simplicity and ability to earn from other sources). Flybuys & Etihad are handy otherwise if you are targeting long-haul redemptions on Etihad, and also putting credit card spend into a program that partners with Etihad Guest. But not so much if you’re not looking for, or doing, either of those things. If your shopping patterns don’t meet what Woolworths is offering, then Coles and its partnership with Etihad may offer a lot more value going forward. This will ultimately be a fair bit of trial and error to see where there are more points to be earned, as various products get ‘stickered’ at Woolworths, and Coles continue to fight back with targeted flybuys offers. Goes to show what airline is more point friendly! Woolworths Everyday Rewards points REMOVED from my QF accouunt. On 27 Dec 2015 1200 Everyday rewards points were added to my account. They represented transactions with Woolworths Supermarkets and an incentive deal with Woolworths owned Cellarmasters. All transactions were before the 31 dec 2015 cut off. On 8 Jan 2016 these transactions were reversed and the points REMOVED. Enquiries to Cellarmasters were referred to Everyday Rewards and I’m still waiting for a response from Everyday Rewards. QF make it hard to question “partner” transactions saying refer to the partner. Has any one else experienced this point removal? I suggest you check your QF accounts. Woolworths have lost my family. Calculations were simple and result is: Switched to Coles and fly Etihad. What are your Etihad travel plans? Fly with them for years and use miles for Virgin and other “partners”. With regard to the comment about gathering data. If you pay with a card, then they have the data, loyalty card or not. I like to be able to maximise points without changing my product purchasing- I choose carefully based on ingredients, country of origin etc so I am not interested in choosing products selected by the supermarket to earn points. Firstly, Woolworths have really lost the plot. They seem to think their customers can be pushed around. Treating your customers with contempt ALWAYS ends badly. Secondly, QF will have their FF scheme tested in the market place. Firstly by the gengeneral opt in and secondly when Woolworths introduce optional special offers, either $ off or points. My feeling is that outside the points community the QF scheme has diminishing attraction. For the average punter and those with knowledge is getting had to redeem useful value. For the average shopper relying on Woolworth spend and credit card points it takes a VERY long time to accumulate enough points to take a trip let alone a family of 4! QF will eventually get to a point where they kill off their program. ( Happy to admit I am no QF fan, over priced, substandard product, exploit market position in domestic market, etc, etc, etc.) Sometimes there is absolutely nothing available for classic awards, upgrades are hit and miss, absolutely unreliable. We need to see the detail and then work out what can be achieved.